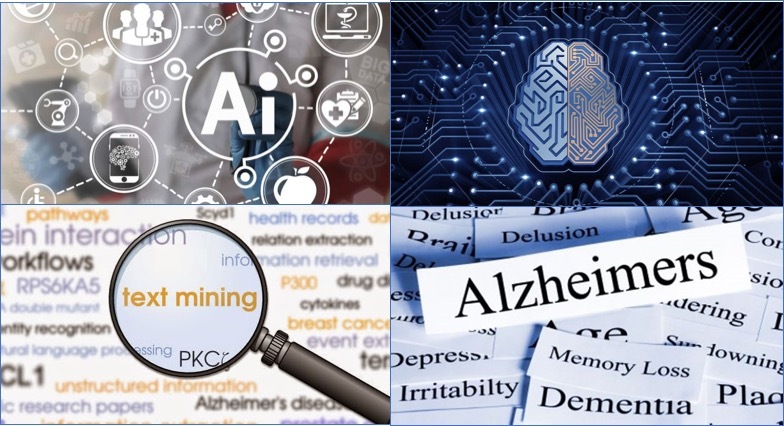 Artificial Intelligence (AI) for Mental Health by K.P. (Suba) Subbalakshmi, Ph.D.
Human cognitive diseases like Alzheimer’s disease (AD), Aphasia and dementia are hard to detect and yet a fast growing concern. Studies show average delays of 1.8 to 3 years in diagnosing AD. Even experts diagnose AD only with 77% accuracy. Mayo Clinic suggests that there are no specific tests today to confirm AD. Only 5% (about 200,000 people) of younger people (in their 40s and 50s) in the U.S. are affected by AD (called “early-onset). Therefore, doctors untrained in AD typically do not suspect these early signs or attribute it wrongly to stress and other factors. In a primary care setting for older people the provider-patient interaction is usually brief. Older people also present several symptoms concurrently. Therefore, early stage AD is often undiagnosed or diagnosed only after a delay. AD is also conflated with age related memory loss. Clinical tests such as the mini-mental state examination and MRI are ordered usually upon disclosure of symptoms by family and friends. Unfortunately, most family and friends are untrained to suspect early stage AD. Also, these clinical tests can be very expensive and/or invasive. Our machine learning based mental health diagnosis algorithm monitors speech in a natural real world setting (e.g., phone calls, conversations, social media interactions etc.) to identify markers for dementia, AD or aphasia. Our experiments on a clinical dataset shows 85% accuracy in detecting mild cognitive impairment and early stage AD. By comparison, a recent study using MRI images for AD diagnosis reports accuracies between 80% to 85%. Progression rate from mild cognitive impairment to (i.e., early stage dementia) to late stage dementia is 10% per year, i.e., about 10 years to progress from mild to late stage. Therefore, at scale, we expect our technology to be able to diagnose AD from mild symptoms 3 to10 years prior to the late stage. Finally, our technology is cost effective, enables continual (e.g., hourly) monitoring unlike brain imaging, and can be implemented as Apps in smartphones or smart home devices such as Amazon Echo for unobtrusive mental health monitoring. We believe that this technology is one tool in the toolset that will power the next generation of AI based, affordable mental healthcare. Speaker Biography - K.P. (Suba) Subbalakshmi, Ph.D.
K.P. 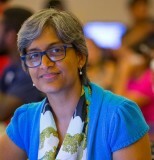 (Suba) Subbalakshmi is the Founding Director of the Stevens Institute for Artificial Intelligence. She is also a Professor in the Department of Electrical and Computer Engineering at Stevens Institute of Technology as well as a Jefferson Science Fellow. In the latter role, she served as a senior science and technology advisor to the U.S Department of State during the 2016-2017 academic year. She was awarded the New Jersey Inventors Hall of Fame award for her work on text analytics. Her work on machine learning and AI for various applications has been covered by media including ACM Tech News, The New Scientist, Mental Floss etc. She is also a Co-Founder of two start-up companies: Jaasuz and Spectronn.